Fairly recently, Dungeons & Dragons miniatures underwent a significant change about how they are packaged and sold. 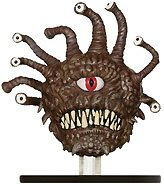 Initially, D&D minis were intended for use in tabletop battles as part of the Dungeons & Dragons Miniatures Game, with the added bonus of being useful in games of actual D&D--especially for the Dungeon Masters who like to drop a gargantuan black dragon on the table and watch the horrified reactions of their level 2 players. Not that I would ever do such a thing. Still, minis were ostensibly geared primarily toward the Miniatures Game people: minis were available only in randomized booster packages of 8 (starter sets and other special packages notwithstanding). This format works fine if you're playing the Miniatures Game, but it's somewhat inconvenient if you don't. 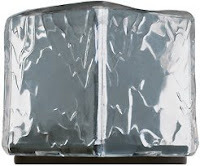 If you, as a DM, wanted to have a Gelatinous Cube for your next session, you'd either need to buy one online, keep buying booster packs until you finally got a Gelatinous Cube, or just go to the freezer and toss an ice cube onto the table and hope your players defeat it before it melts and totally ruins your hand-drawn map. And that's to say nothing of the legions of players who had to settle for representing their characters with a nerdy little goblin because it was the closest thing they had to a godslaying half-giant paladin. Finally, there's been a compromise between the folks who want specific minis for their quests and the three people who play the Miniatures Game. The two latest lines of minatures, Player's Handbook Heroes and Monster Manual: Dangerous Delves, are no longer available in totally randomized booster packs. As has been the case for a few sets now, I'm not impressed with the paint quality on a lot of these new minis (too often bland and lacking in texture), but that has little to do with the new format of D&D minis, which I will explain... NOW. The Player's Handbook Heroes minis are offered in nonrandomized packs of three, and you can see each and every mini that's inside--just like buying action figures! And, as the name suggests, all the minis are race/class combinations pulled right from the Player's Handbook. However, I'm still holding out for a gnome blackguard mini. The Monster Manual: Dangerous Delves minis--all of which are monsters, incidentally--come in packs of 5: one mini is visible, and the other four are randomized and hidden from view. By the way, the prices didn't go down just because there are fewer minis in the package; knowing exactly what you're going to get has its price, and I imagine the added plastic packaging is a touch more expensive (and, in the end, wasteful) than a dumpy cardboard box. Yes, I realize that there are more cons than pros here, but finding what you want goes a long way with me. I mean, really, how many Blood of Vol Fanatics does a person need?